Every month, Pavel publishes a new paper-and-pencil logic puzzle, crafted by Countess Ada Lovelace, daughter of Lord Byron, and oft-reputed first computer programmer. The puzzles are all available for free, and you can earn a discount on our physical puzzles simply by solving the current month's ænigma! Even better, we are now also hosting a contest every month, where a randomly selected solver will receive a free physical puzzle! Click here for all of the ænigmas! Pavel Curtis is perhaps best known as the creator of the online world LambdaMOO, but he's been collecting mechanical puzzles for as long as he can remember, and has been designing new ones since 1999. Many of the designs on sale here have been featured over the years at the exclusive International Puzzle Party. As a day job, Pavel works as a software architect at Microsoft. Solve anywhere. Meet up any time. Discover local delights. Got a puzzle site and want to trade links? Write me! It looks like a jigsaw, but really, it's a logic puzzle! Can you assemble these 25 pieces, without trial-and-error, using only pure, logical deduction? Mysterious puzzle designer Portponky has crafted a devious snare for your mind! This is a challenging, but super satisfying solve, involving no backtracking or guessing: every single time you place a piece, it's because you know that it's correct! Here are forty-eight simple-looking cards and no instructions, in a puzzle with no name! Can you master the letter patterns and discover this puzzle's secret identity? Be prepared for a lot of word-nerdery as you work your way toward unveiling the name of this challenging puzzle. The clues you need may be a bit subtle, but they're present nonetheless, so keep your eyes peeled! An unusual mixture of wordplay, assembly, and mystery, this is a multi-stage challenge intended to be solved by a group of 4 to 6 people working together! You begin with sixteen large playing-card tiles, each having four pictures and a bunch of random-seeming letters. What do these mean? How do they work? The challenge is on! If you get stuck, or just prefer a (somewhat) easier puzzle, there are four hint cards included, with the answers to some of your questions hidden inside opaque sleeves. A ton of wordplay and logical fun to share with your friends! A new kind of puzzle that combines aspects of jigsaws, wordplay, and mechanical puzzles in a unified, multi-stage solving experience. Can you see through some truly awful puns to find the secret answers? Each box contains seven Ana-Links puzzles plus a metapuzzle that ties together those seven answers into a final, eighth puzzle! Beautiful earrings and pendants that you can actually disassemble and then solve as a puzzle! Based on the same design as our Finnish Cross puzzle, these lovelies will come apart if, and only if, you take off the round clasp at the top, so that you can enjoy their solving challenge. These are available either as a pair of earrings or singly, for use as a pendant, and in either a round or longer teardrop shape. Do you like Sudoku, but find them a little repetitive? 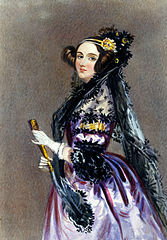 Let Countess Ada Lovelace introduce you to 24 new kinds of logic puzzles, each one completely different! Ranging from challenging to exceedingly difficult, this volume brings together all of the puzzles from Ada's long-running monthly series. Each puzzle is introduced by a personal letter from the daughter of Romantic poet Lord Byron, in which she explains how she was inspired to create that ‘ænigma,’ the rules for solving it, and the procedure for extracting a final answer from your completed grid. In addition, just for some extra fun, almost all of the puzzles also feature one or more of Ada's infamous ‘Easter eggs’: short, flavorful messages hidden somewhere on the page! Ada's book includes full solutions, author commentaries for all puzzles, explanations of all of the Easter eggs, and lots of other bonus material. This is the perfect gift for any logic-puzzle lover! Eighteen years in the making, famous puzzle and game designer Mike Selinker brings us the world's first and only interactive puzzle novel. It's a real novel, about two Victorian children who go into the library, open the wrong book, and meet very much the wrong gentleman! He traps them inside the book, and they must solve puzzles in order to escape. And you must solve puzzles in order to read their story, because the pages of this book are in random order! In order to know which page to turn to next, you must solve the puzzle where you are: it's like a “Solve Your Own Adventure” book! The story is broken up into four chapters, each of which is structured around its own maze, which helps you learn where to go next. The puzzles in the book start out easy enough, but they get tougher and tougher as you go! In addition to being a rich and ambitious puzzle adventure, this book is simply gorgeous! Lavishly illustrated and beautifully designed, it's destined to become one of your prized possessions. Can you help the children escape from the evil Gatekeeper? You have never seen a puzzle book like this one! The first instructions in this very odd book tell you how to identify some 64 pages, scattered throughout the book; after you find them, your next job is to tear them out of the book! You then solve one big puzzle using those pages, taping them edge-to-edge as appropriate according to the instructions. When you finish that, the answer will bring you back to the book, where you'll learn how to find the pages of eight more puzzles, also scattered throughout the book, and you tear out those pages, too! When you solve those eight new puzzles, their answers will combine together to bring you back to the book one more time, where you'd better not have torn out anything else! You're going to need all those other pages right where they started in order to solve the final puzzle! This incredible volume is intended for group solving, by between four and ten people (though it can, of course, be solved by a single, particularly dedicated and/or less social individual). All you need are pens, scissors, tape, and a duck. This is a great way to spend a weekend with friends! Twelve blue pieces and twelve white pieces assemble to create the iconic emblem of Seattle football fandom. Are you loud enough to solve this puzzle? Nine years after creating his infamously deceptive “Sleazier” puzzle, Pavel finally found a worthy successor. The idea came to him in a dream, but it may prove to be a nightmare for you! Winner of the prestigious Puzzler's Award at the 2013 International Puzzle Design Competition, this delightful creation by Singaporean designer Goh Pit Khiam truly lives up to its name. Can you manipulate the four shoes and one cross to fit them all into this partially covered frame? This is what happens when Pavel takes on the classic “edge-matching” puzzle form: a new multi-level solving experience ending with a satisfying one-word answer. Can you escape harm while playing with matches? Oh, what a tangle Pavel did weave, when first he practiced to deceive! Weaving these 20 strips together only begins the games you'll play as you wend your way through to the one-word final answer! A classic puzzle from a century ago: it ties on in just an instant, but then can you remove it without a hint? Just arrange the four pieces to form a simple block letter ‘T’. A surprisingly tricky little classic! Fit all four T's into each square! The one-star tray is easy, but what about that two-star square? March both groups of marbles past one another, each to the other end of the track. A classic brainteaser! Pavel's original variant of the classic puzzle. The same rules apply as in the original, but it's much trickier to solve! From a pipefitter's fever dream, can you remove the rubber O-ring from this three-stick candle holder? Watch out, these four- and five-stick candle holders are even trickier than their three-stick little brother! Young lovers, cruelly separated... It's a sad but timeless tale. Can you bring them together again? Any good mason knows: when laying bricks, you don't want the cracks in one row to line up with those in other rows. Can you satisfy the bricklayer's challenge, or will you end up banging your head against this wall? At first, this seems to be just a little jigsaw puzzle, and it is, but it's a tricky one, and that's just the beginning of the solving experience! Pavel's 10½-year-old nephew handily solved his version of this one; can you do as well with yours? What if you left some beer bottles out in the sun too long, and they melted and slumped all over each other? And what if you could take that pile apart and put it together again? Each of these fun puzzle sculptures is truly one-of-a-kind, and will baffle and intrigue your guests for a long time to come! See photos of all of the sets we currently have available. It's just a jigsaw puzzle, right? With only a couple dozen pieces, how hard could it be? Pavel's latest multi-stage solving experience will take you to the edge: can you guess the secret word he's thinking of? Can you get a word ... in Edgewise? Conceived by world-renowned computer scientist and mathematician Donald Knuth, and brought to fruition by Pavel, this is an elegant set of five progressively more complex and difficult challenges, each using the same pieces and each with a unique solution. Brrr! This big, frigid beauty recalls the shockingly blue ice of an Alaskan glacier, but assembling its complex interlocking pieces won't leave you cold. A striking attention getter in any room, begging to be taken apart. Do you dare to brave the elements and challenge this icy jumble? This investigator's magnifying glass has been broken! Repair the glass in two different ways to reveal clues to an old mystery. Can you put the pieces together to uncover the hidden meanings and solve this puzzling enigma, not just once, but twice? Read Pavel's blog entry about Get a Clue! The word “EIGHT” seems so innocent, so harmless, so devoid of either mystery or malice, doesn't it? Don't you believe it! Your job is to pack those five letters into each side of the tray, one supposedly “easy” and the other admittedly “hard.” Watch out, they're tricky! Now also available in this economical CD jewel-case edition! Just four simple-seeming pieces to fit into each side of the tray, but they're much trickier than you'd think to get your head around, and there's only one solution per side! This award-winning puzzle design is available again for the first time in many years! Originally copyrighted in 1932 by the son of Thomas Edison, this puzzle has been unavailable for over half a century. Can you assemble the 12 blocks into a single, solid rectangle? Just how easy a puzzle do you think an Edison would design? Anansi, the trickster spider god of African and Caribbean lore, has created a tricky maze with no walls, no paths to follow, not even any dead ends! Can you see through all of Anansi's tricks and find the secret he's left for you at the center of his maze? Pavel's series of multi-stage solving experiences continues in a very satisfying way! Twelve stars with a deep or shallow notch on each arm. Can you match deep with shallow at every intersection to assemble this beautiful crystaline sphere? It's a tough challenge with a truly satisfying result. A mysterious disassembled octahedron with an equally mysterious engraved tablet: what can it all mean? The third in our series of multi-stage puzzles! Eight slim plastic triangles with tabs and slots on the edges, some strange etchings on the surfaces, and a whole lotta holes! A new multi-stage solving experience! Six flat pieces, each with two little tabs hanging off one edge, come together in just one way to make this handsome figure. An elegant and intriguing addition to any executive's desk. A new concept in mechanical puzzles, the Ooo Tray is a multi-level solving experience with each level's solution leading you on to the next. The final answer is a single word; can you find it? Twelve pieces exhibit all the ways that two slightly "off" squares can be joined. In the first of four challenges, you "simply" fit them all into the tray. The final challenge has only three solutions; can you absorb enough Easter Island culture to complete it? Pavel found twelve ways to choose a group of three tiles from a lovely Arts and Crafts-style floor and then fitted them nicely into this tray. Can you find both possible packings? Each of the seven sticks has one dovetail tab attached along its length, and one dovetail notch cut across it. Your goal is to assemble the pieces with every tab fitted into a notch. Two of the four solutions will balance nicely on the end of one stick. Enter the strange world of non-periodic tiling! Can you fit these mind-boggling pieces into the turbaned head of the Grand Vizier? Once you do, there's a second challenge on the back! Can you recreate the simple symmetry of the Japanese flag from these twelve two-sided dominoes? Careful, the pieces aren't the same on their backs! This version of the Japanese flag puzzle is made from stiff card stock instead of Lucite and comes without a tray. A portable brain twister at a bargain price.